UMass EGO’s annual interdisciplinary graduate conference is accepting submissions for panels and papers through February 10th. 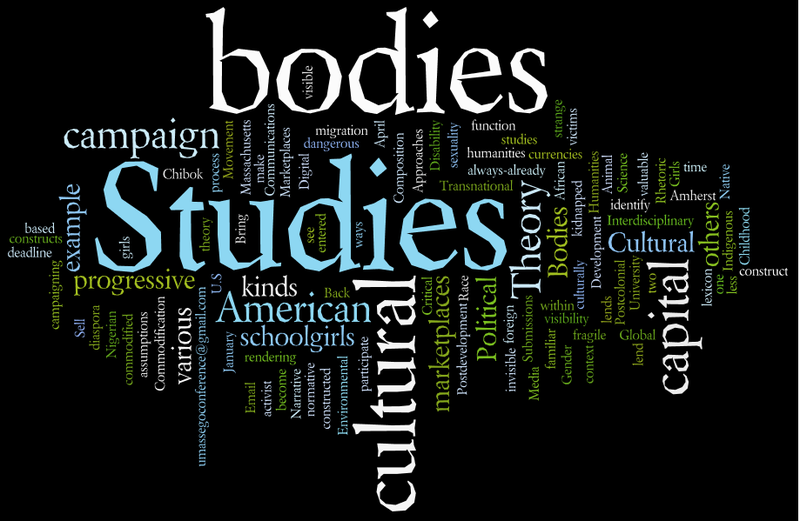 “Bodies that Sell: Commodification and Cultural Marketplaces,” the 7th annual graduate conference hosted by the English Graduate Organization at the University of Massachusetts, will be held on the UMass-Amherst campus on Satruday, April 4, 2015. Read the full call for papers and learn more about the conference here: https://umassego.com/conference/. This entry was posted in Conference and tagged CFP, conference. Bookmark the permalink.